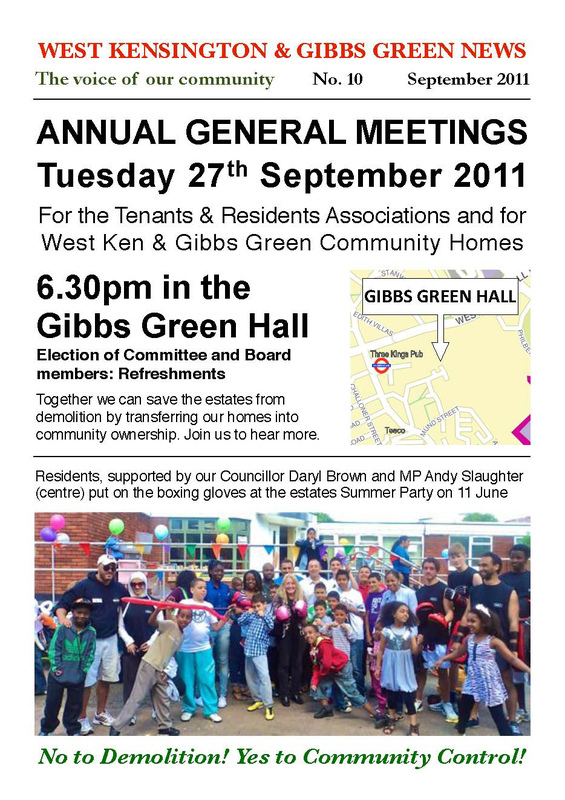 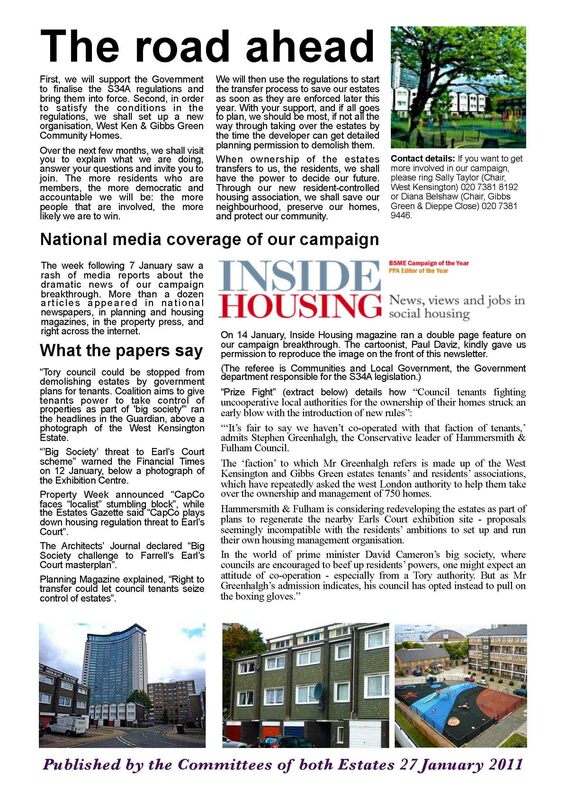 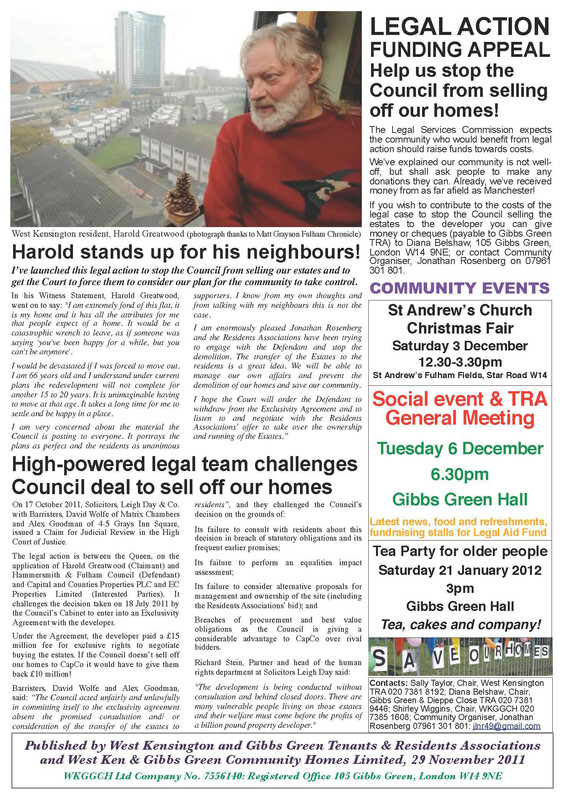 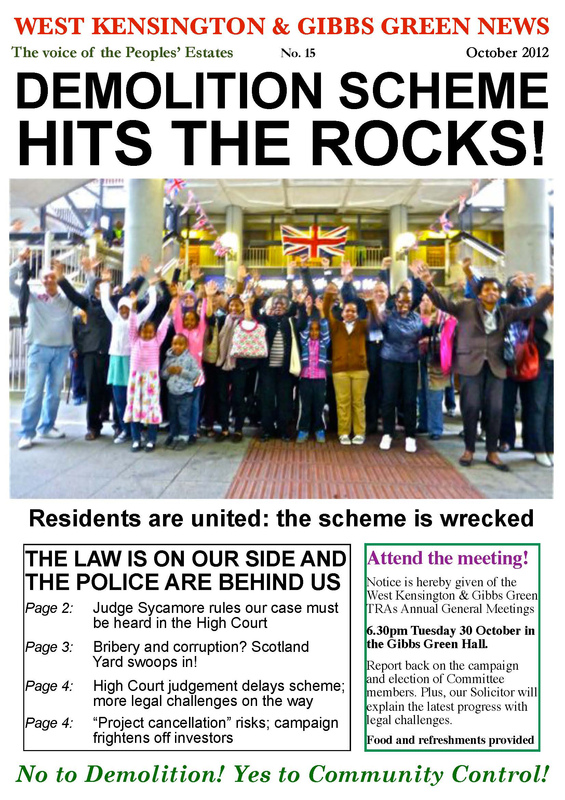 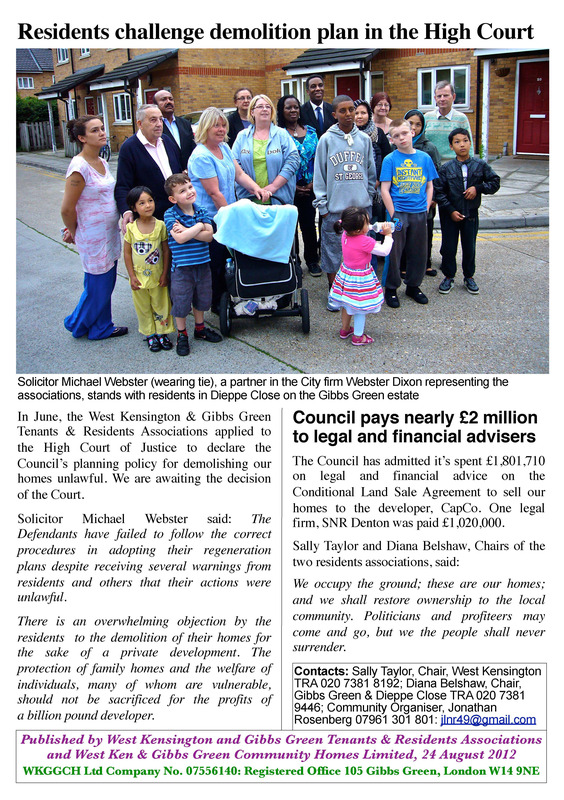 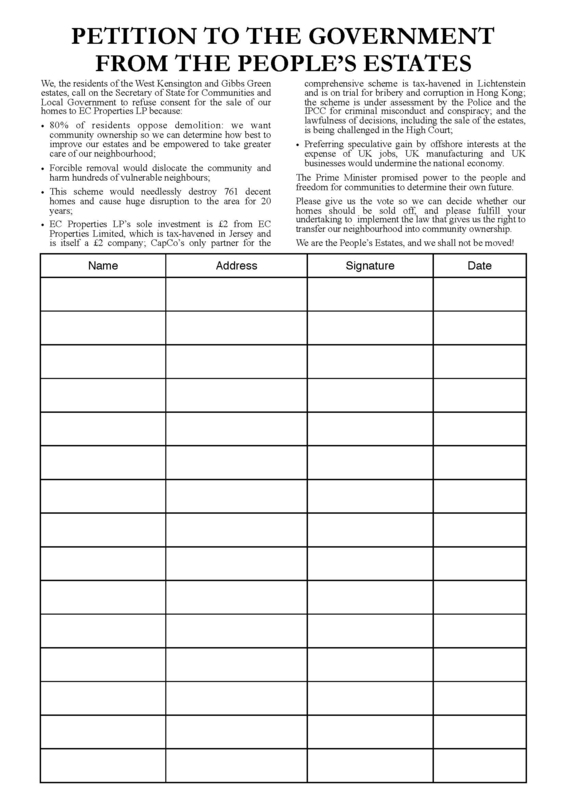 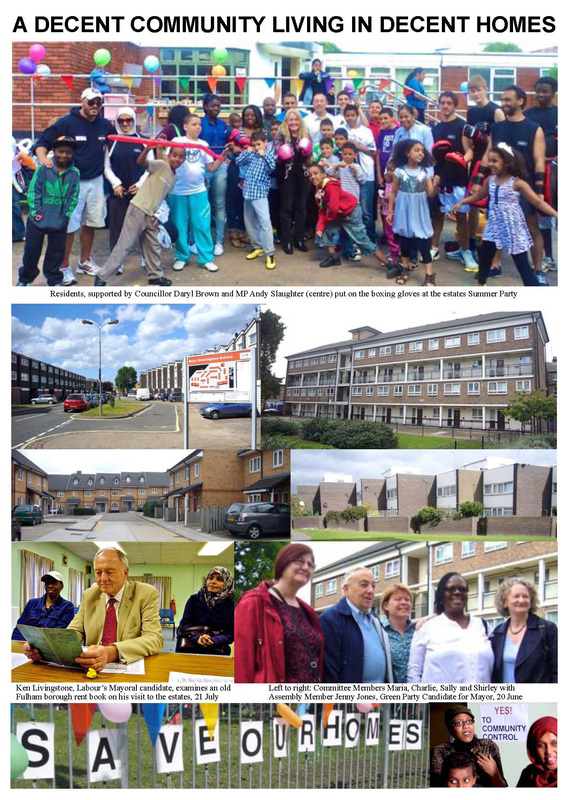 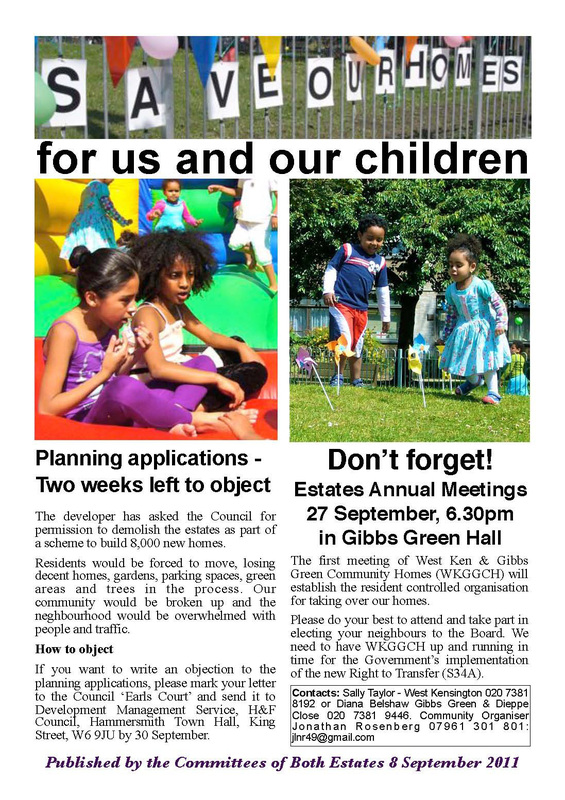 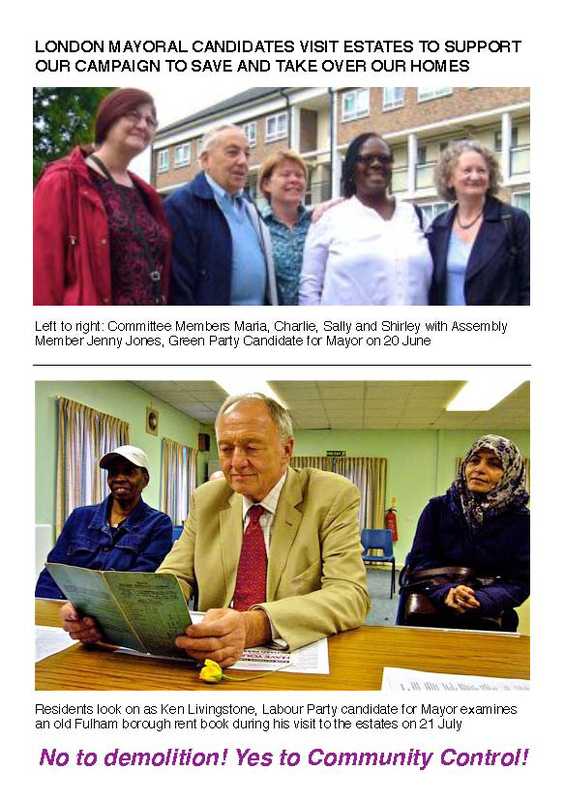 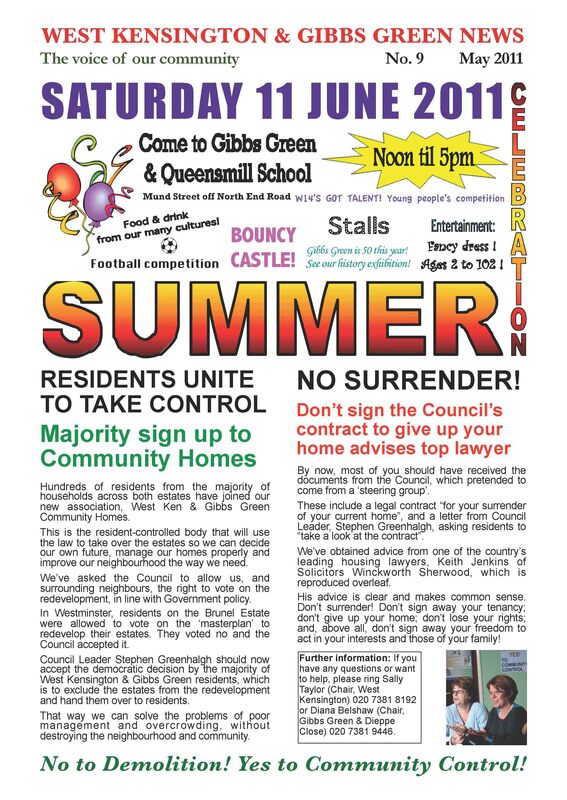 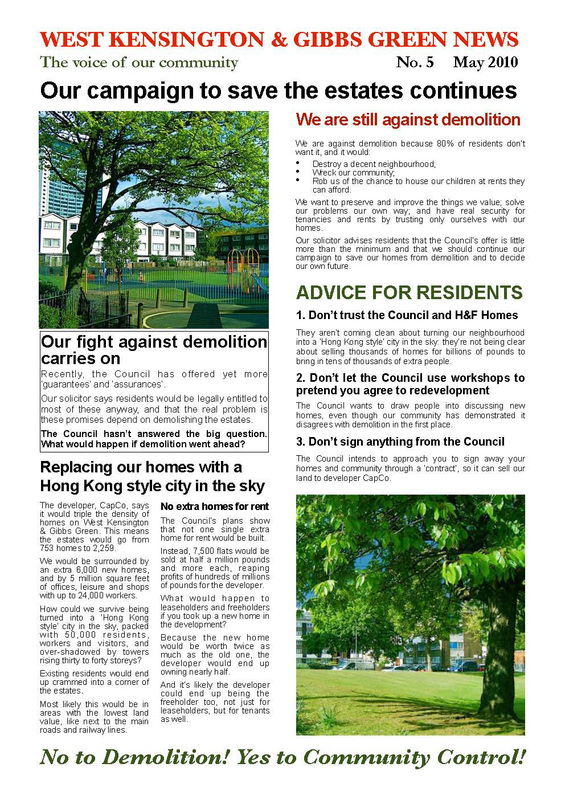 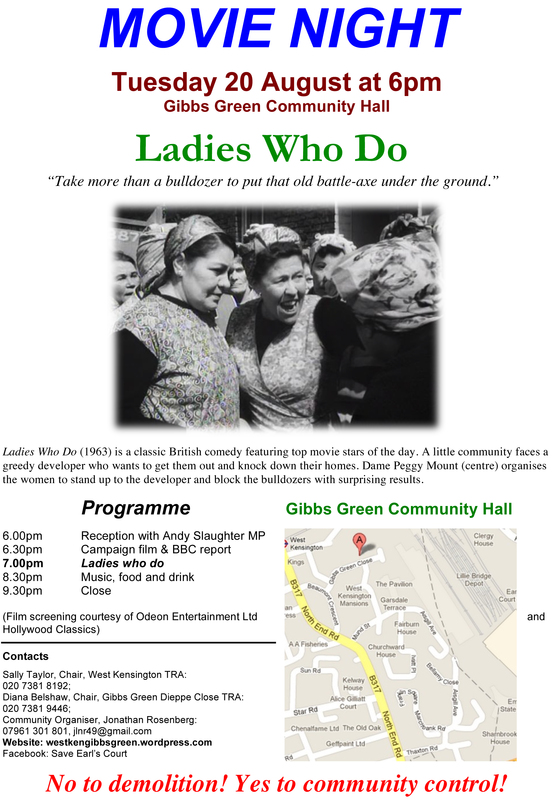 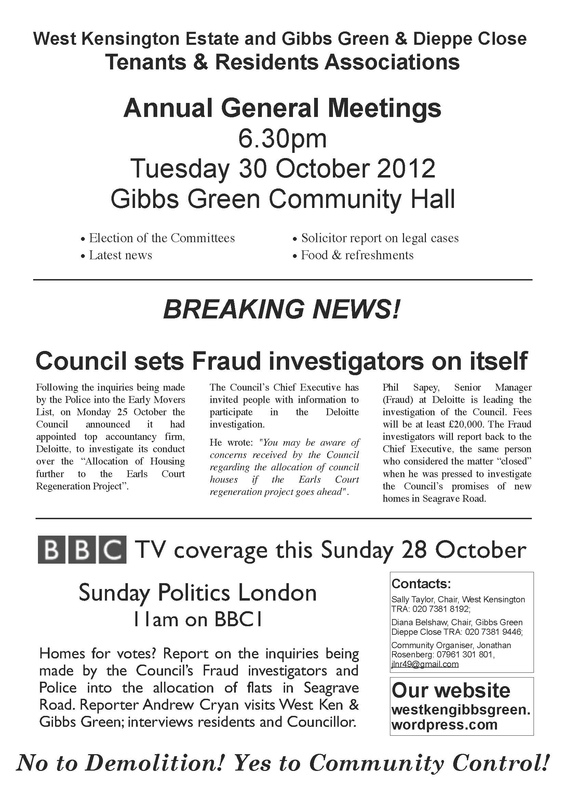 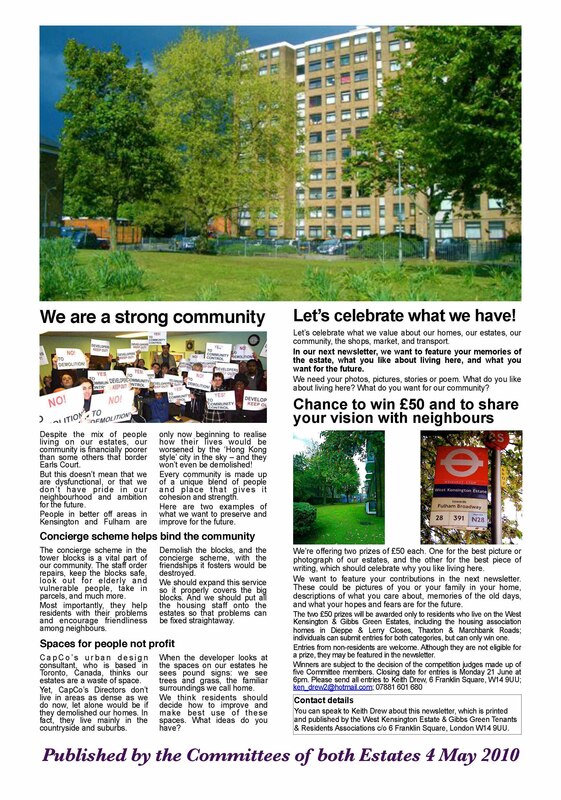 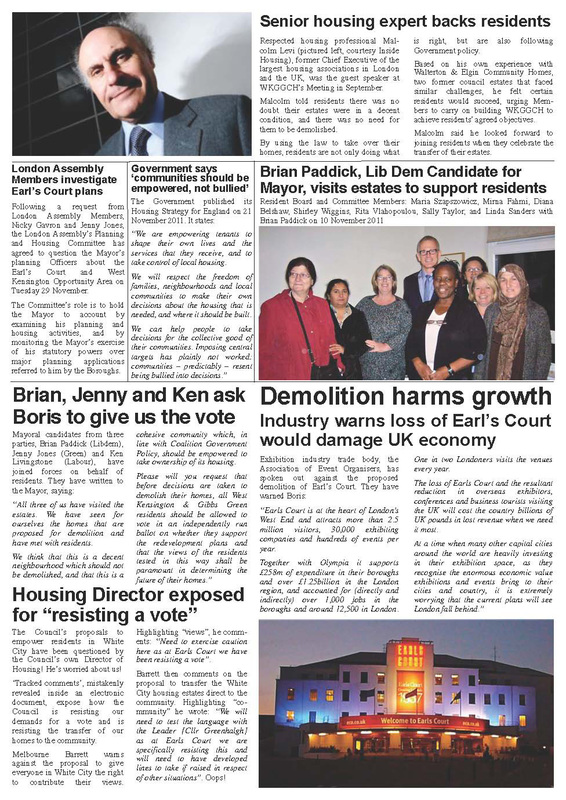 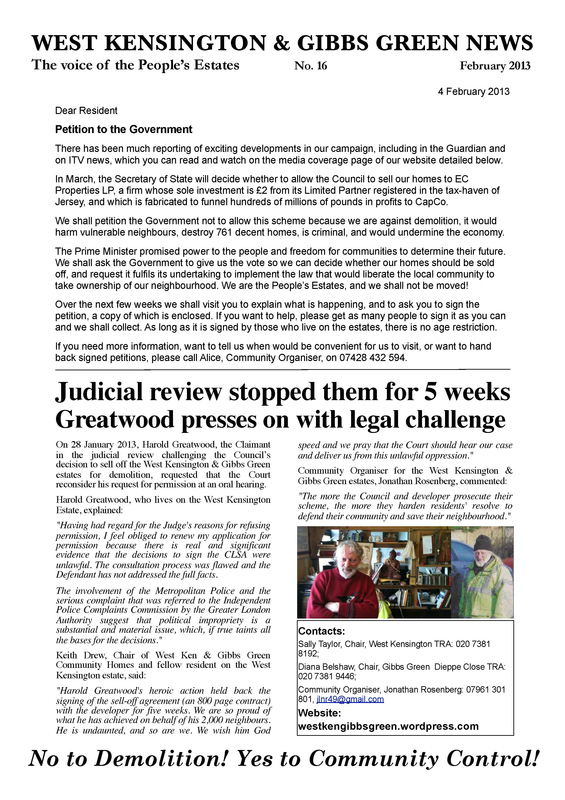 On this page, you can access some documents about West Ken Gibbs Green Community Homes and our campaign in general. 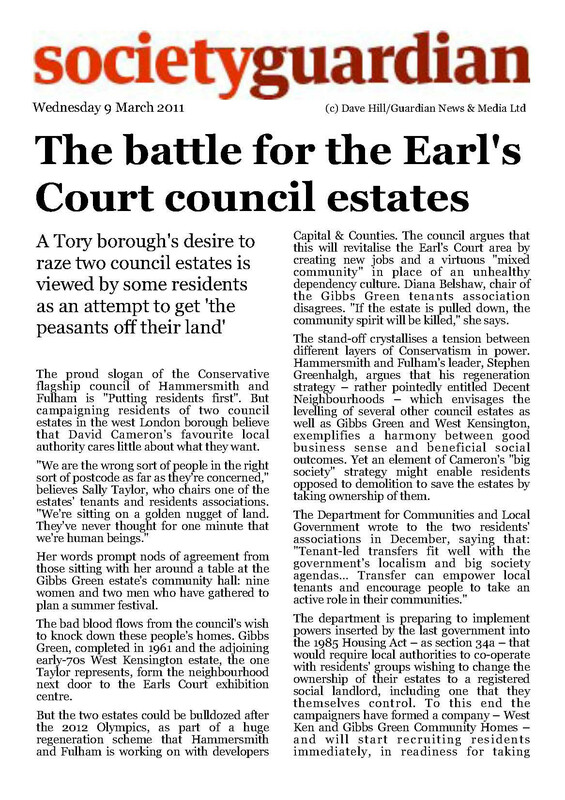 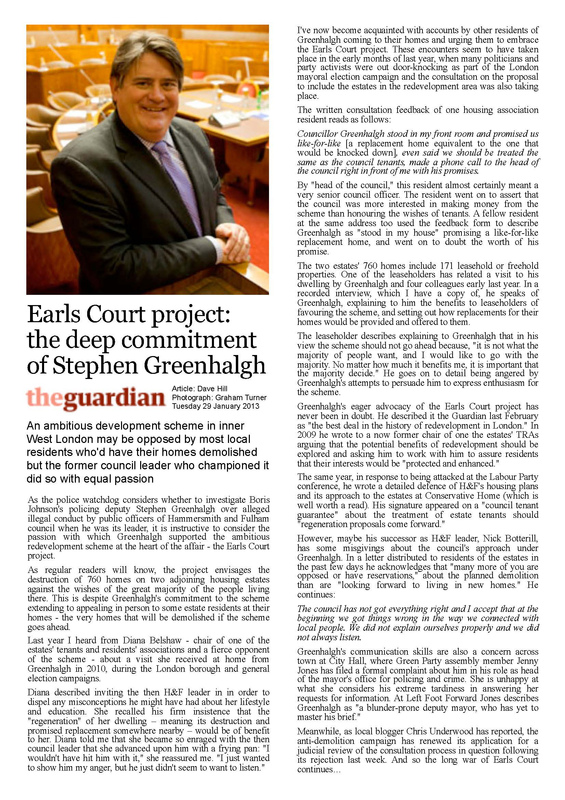 28 October 2011: West Kensington & Gibbs Green residents’ response to Earl’s Court proposed redevelopment planning applications can be found here. 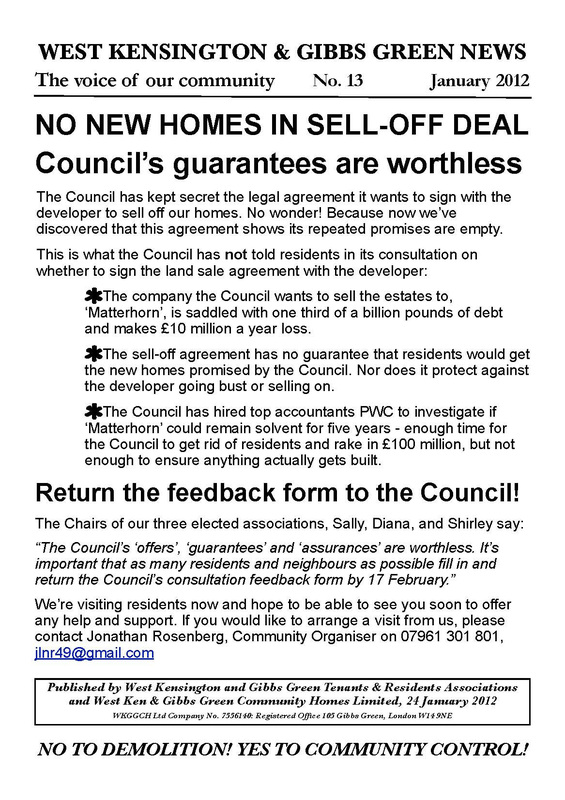 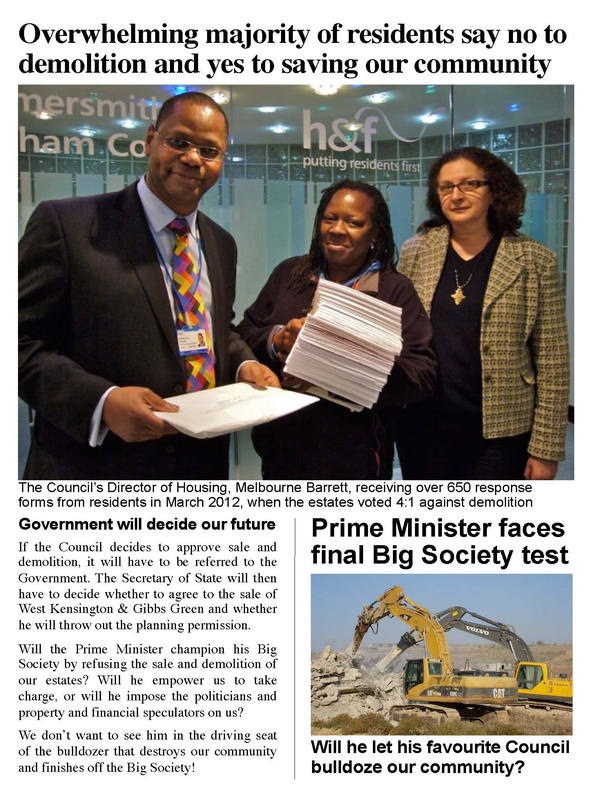 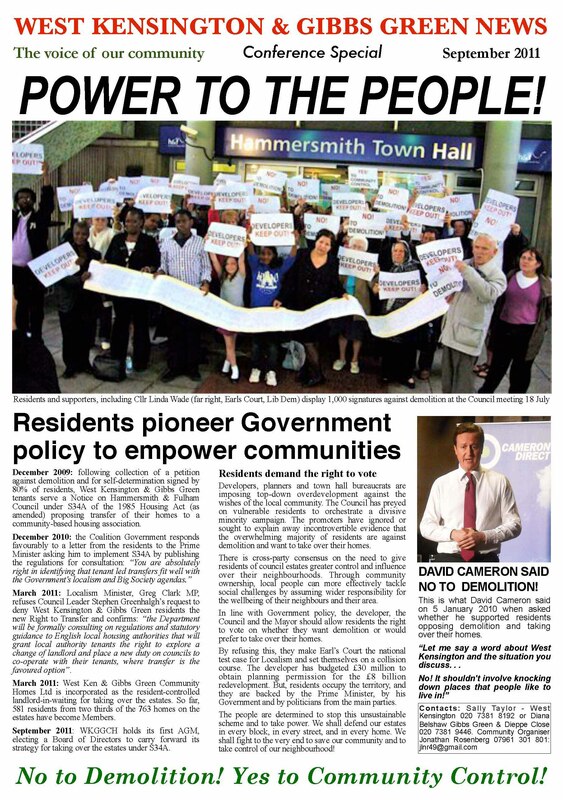 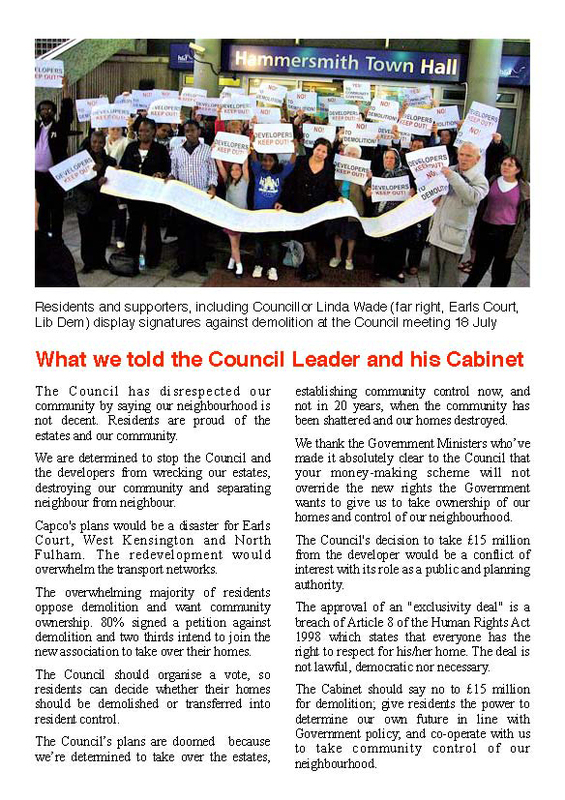 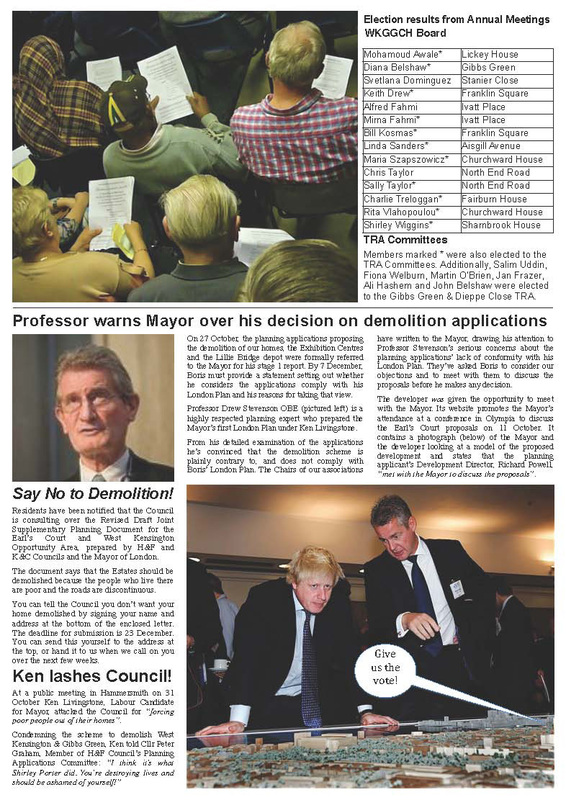 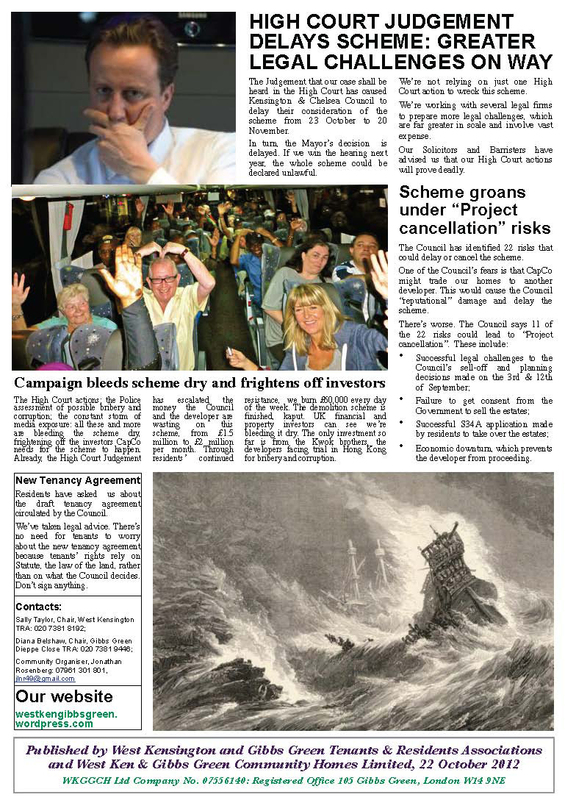 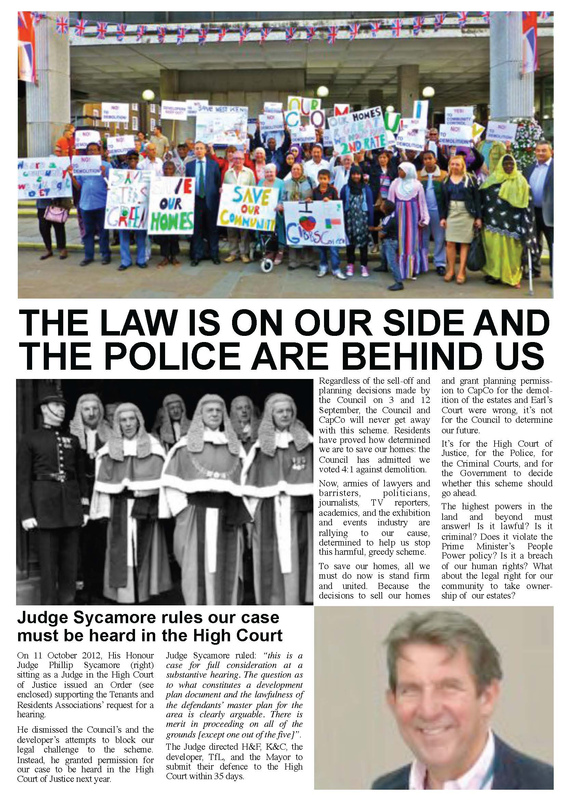 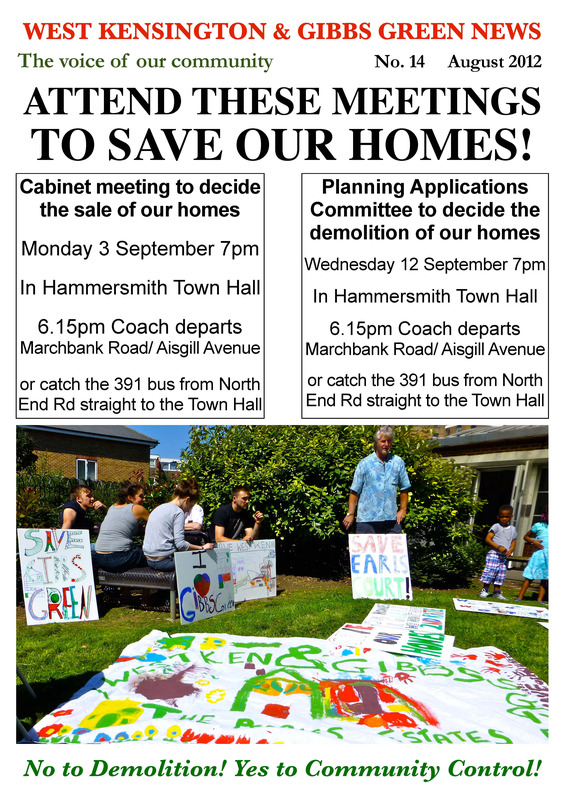 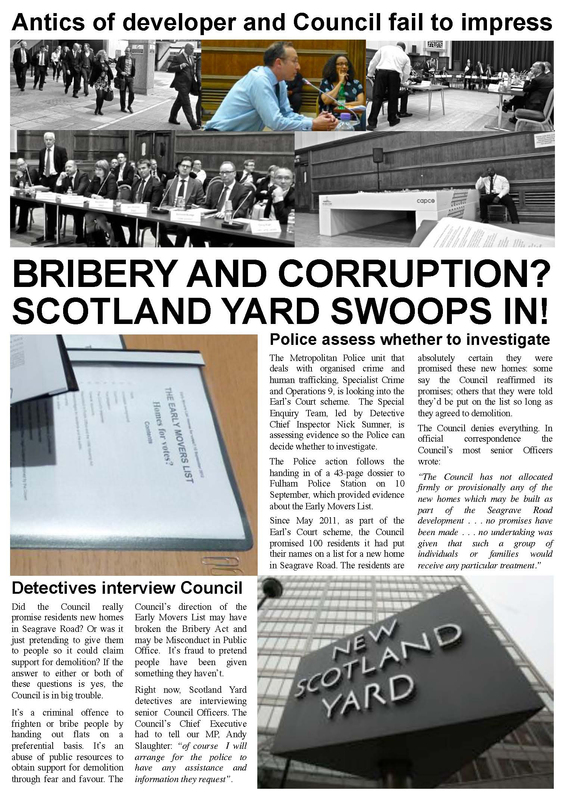 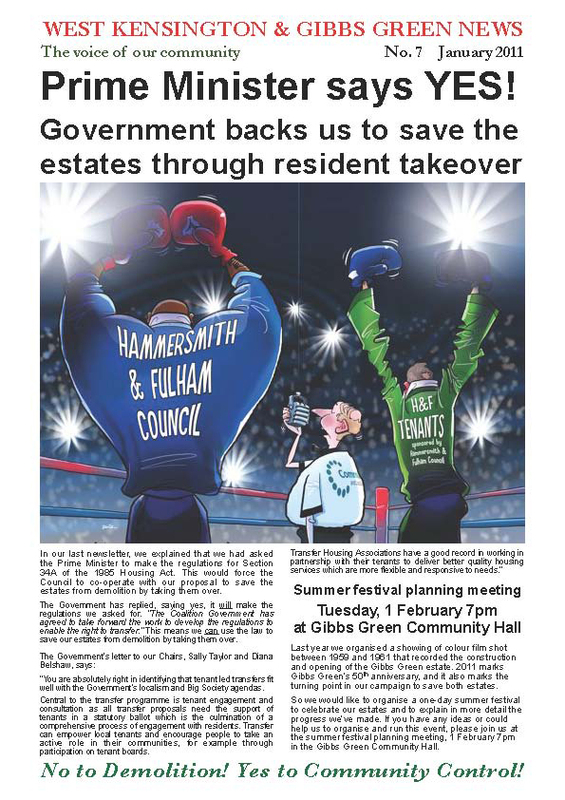 18 July 2011: Read our Deputation Statement to the Hammersmith & Fulham Council Cabinet here. 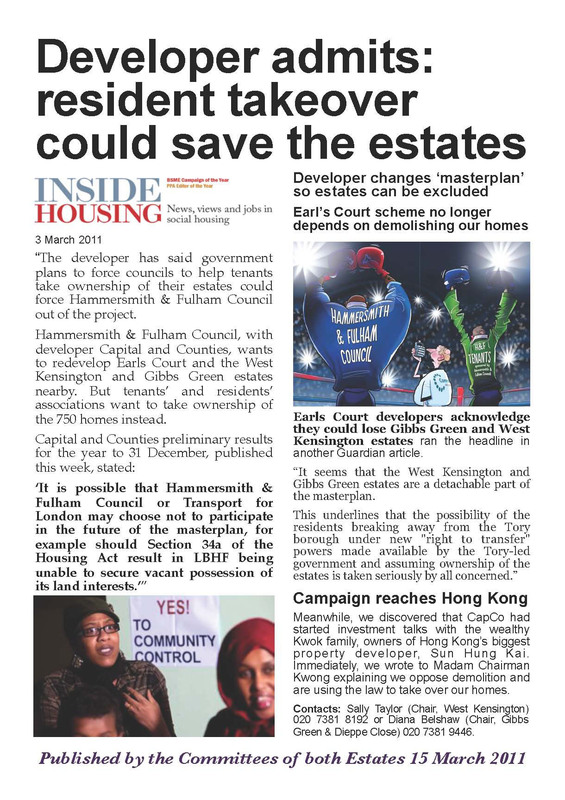 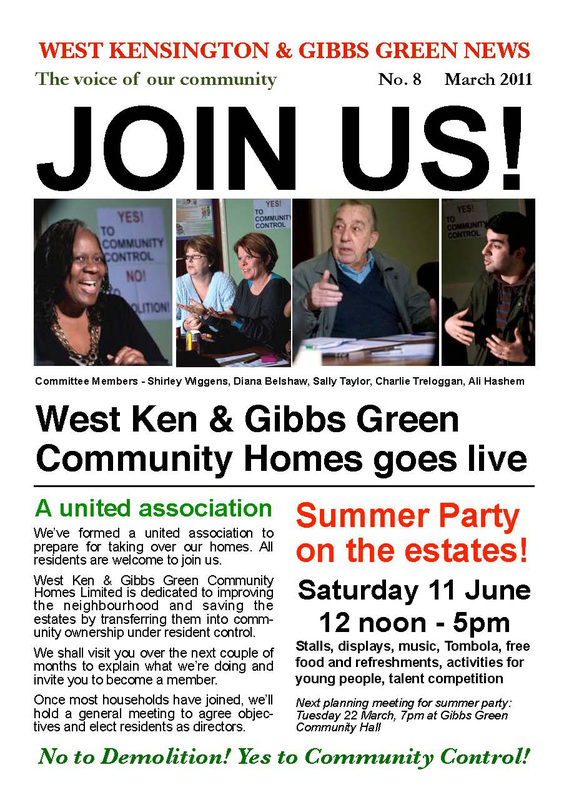 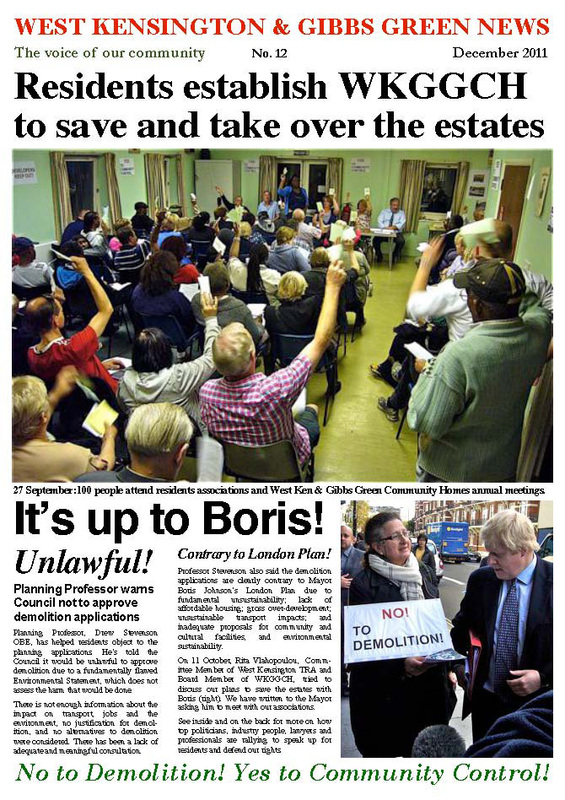 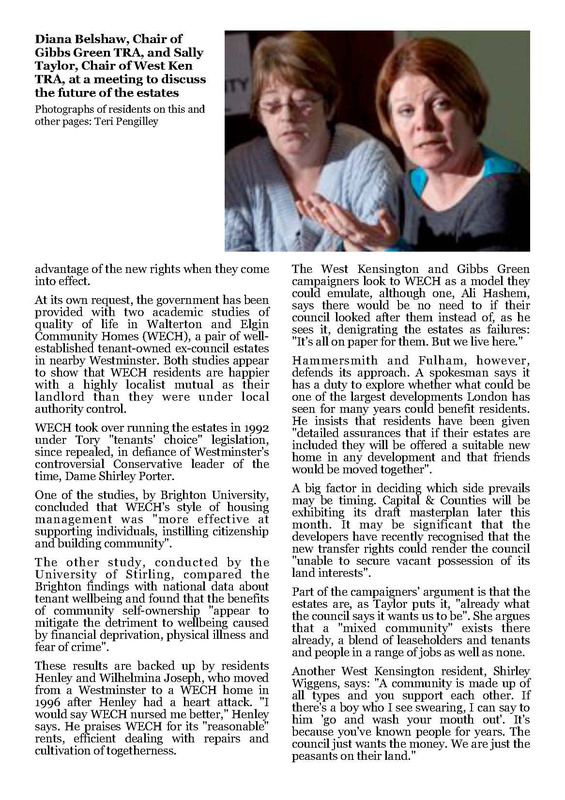 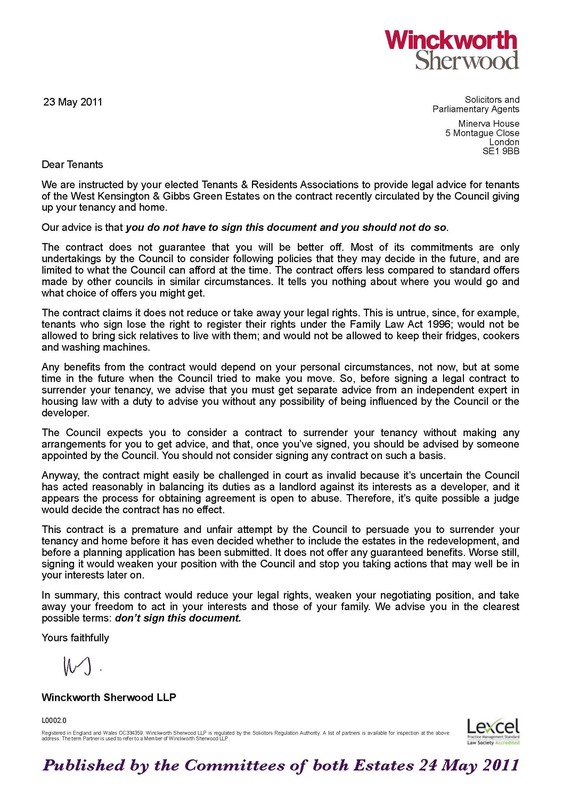 13 May 2011: The West Kensington and Gibbs Green Estates Tenants & Residents Associations Response to OAPF SPD Document ‘Earl’s Court and West Kensington Opportunity Area Draft Joint Supplementary Planning Document’ can be found here. 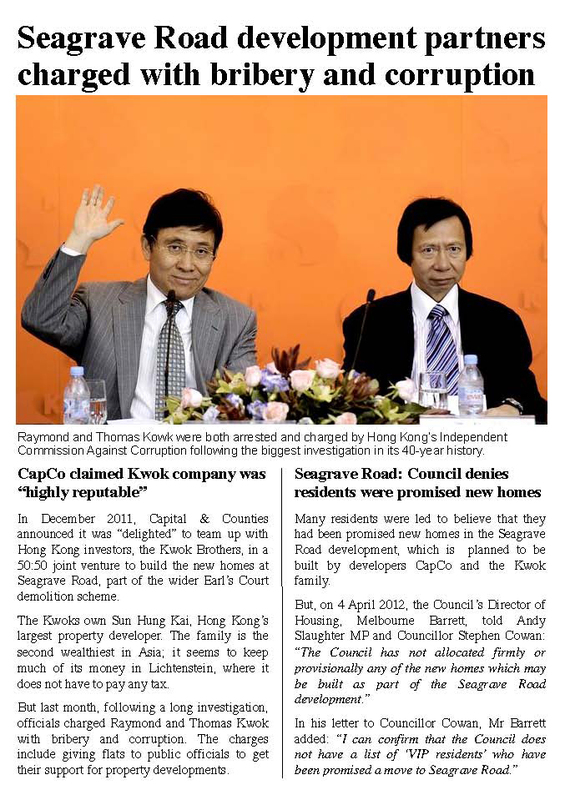 February 24 2011: Our letter to Chairman Siu-hing Kwong of Sun Hung Kai Properties Ltd can be viewed here. 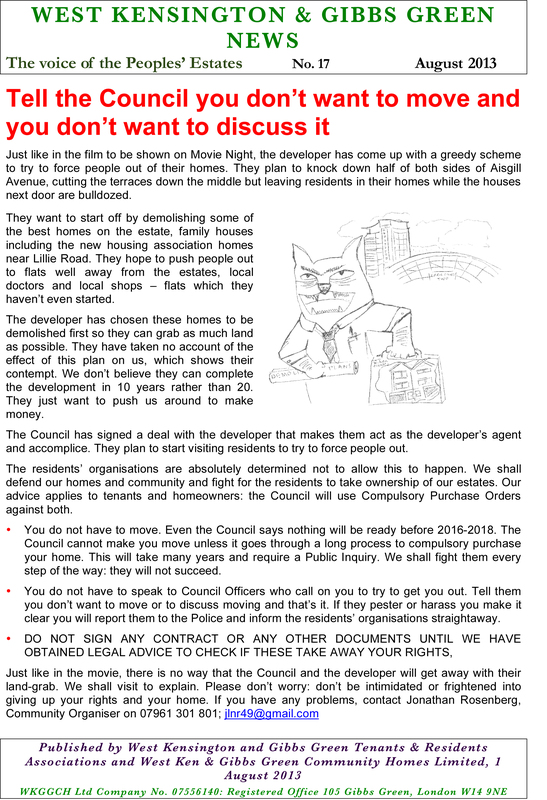 December 8 2009: “Cameron challenged to disown Tory rogue landlord” Press Release.